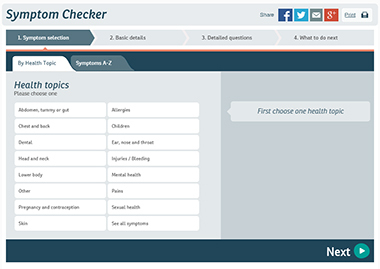 The healthdirect Symptom Checker guides you to the appropriate healthcare action: if you need to see a doctor or go to your nearest hospital or emergency department. It helps you understand symptoms and possible signs of illness, causes and complications. The GP Superclinic @ Midland Railway Workshops takes no responsibility for the information that appears in the healthdirect Symptom checker. A healthy diet is one of the most important ways to reduce your risk of developing heart disease. Join the Red Army in February 2016 to help us beat Australia’s No. 1 killer – heart disease.